Who better to ask than 25 year old Bram Chardon, son of Driving legend, Ijsbrand. First up, the reins. Bram, who has 21 wins to his name from 39 starts in FEI competitions, holds two sets of reins in each hand and is doing at least two different things at once with them. “You have two sets of leader reins and two sets of wheeler reins,” said the Dutchman. “One metre away from my hands the wheeler reins split up and the split from the left wheeler rein is leading to the left side of the left horse and to the left side of the right horse. It is the same set up with the leader reins and it is the leaders who, as you might expect, control the direction the carriage goes. “What we do is steer our ‘front wheels’ – the leaders – and the wheelers should follow the track they are making around the cone or the post. That is the key to being a team,” Chardon explained. “We are not just pulling the wheeler and the leader reins at the same time, that would be like a truck without its back wheels steering”. The relationship between the two pairs of horses is symbiotic. 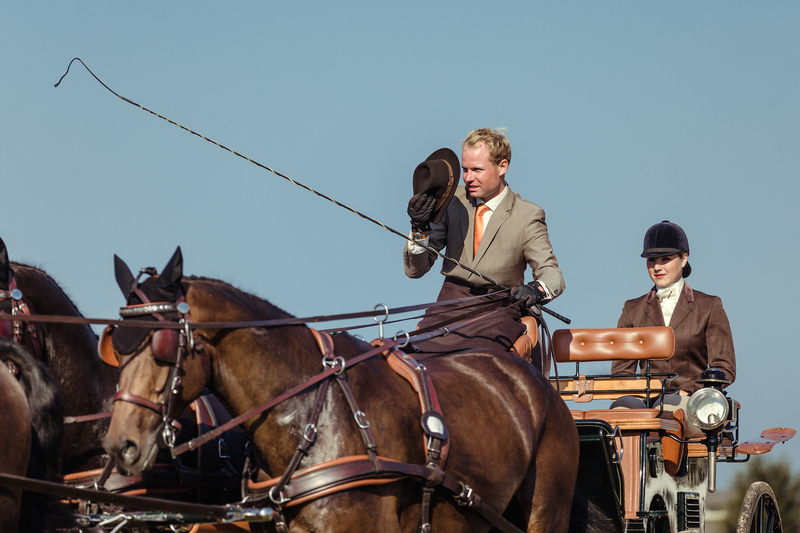 With the leaders steering, the wheelers do most of the hard graft in terms of pulling the carriage, particularly in the two technical disciplines. Reins are not enough to do all of this on their own. Chardon and his peers need additional tools to encourage four supremely fit horses to work perfectly in sync. “They are on voice command,” he explained. “So, if I see the post coming on the right side, I name the horse and he knows to step over – it’s individual voice command. But every now and then, an uphill or heavy water say, a voice command won’t be enough. Then we need the whip to tell them, the same as in riding, to go in the right position so we don’t get a big crash. Based on his family farm in Den Hoorn, the Netherlands, Bram works alongside his father, Ijsbrand Chardon, the multiple world champion. They both makes a point of varying their horses’ training, riding them individually and harnessing them up in single and double carriages, as well as, of course, practising with them as a four. Driving horses also require particular gifts from nature in order to thrive in the sport! “They can be like a dressage breed or like the (Dutch) harness horses, who have a bit more knee action and a bit more show,” Chardon junior said. There is one final, critical piece of the jigsaw in making a successful driving team; a good back stop for the marathon stage. He or she controls the fifth-wheel break, which stops the back of the carriage sliding too far out, and shifts their weight to the inside to stop the carriage tipping. 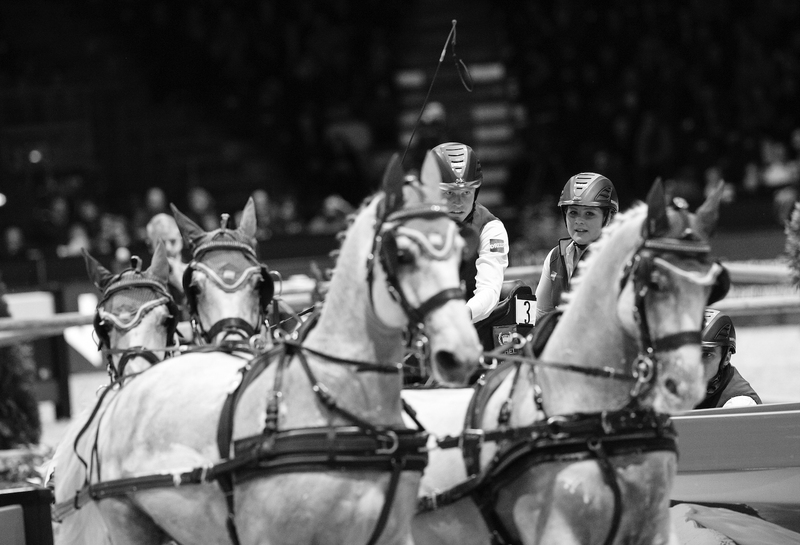 Be sure to tune in to all the FEI Driving World Cup™ action on FEI TV starting November 3 in Lyon.